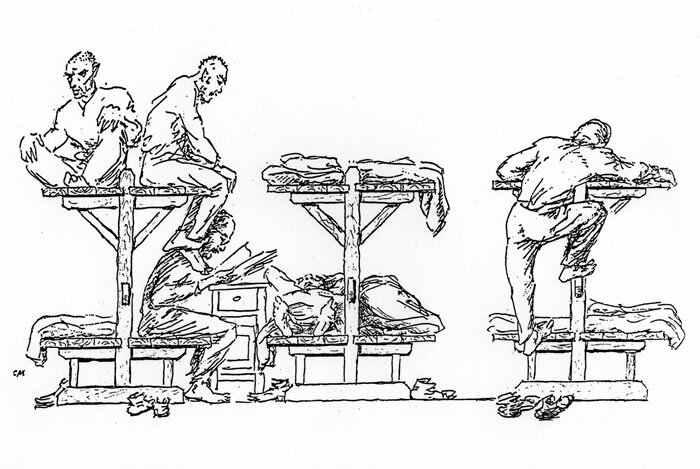 During their non-working hours, prisoners typically lived in a camp zone surrounded by a fence or barbed wire, overlooked by armed guards in watch towers. The zone contained a number of overcrowded, stinking, poorly-heated barracks. Life in a camp zone was brutal and violent. Prisoners competed for access to all of life’s necessities, and violence among the prisoners was commonplace. 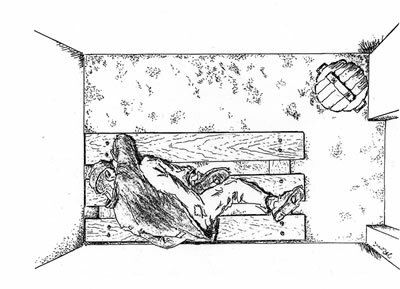 If they survived hunger, disease, the harsh elements, heavy labor, and their fellow prisoners, they might succumb to arbitrary violence at the hands of camp guards. 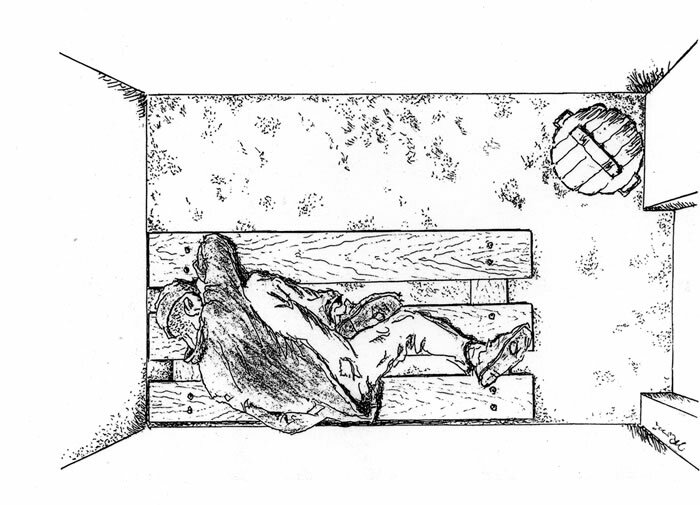 All the while, prisoners were watched by informers—fellow prisoners always looking for some misstep to report to Gulag authorities. 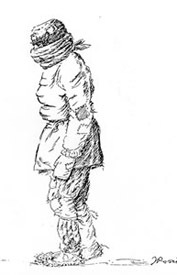 Jacques Rossi, the artist who made the following drawings in the 1960s based on his memories, spent 19 years in the Gulag after he was arrested in the Stalin purges of 1936-37. 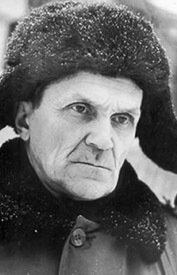 He later published several writings, including his most important, The Gulag Handbook, in 1987 (published in English in 1989). Drawing and memoir excerpt by Jacques Rossi. 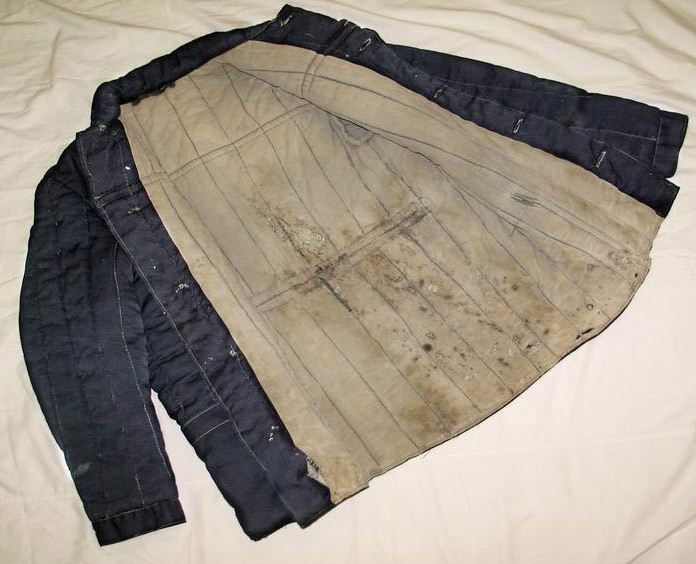 Typical winter overcoat worn by most of the Soviet population in the 1930s through 1950s. 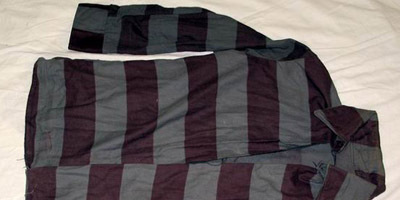 The coat is very similar to the type provided to Gulag prisoners. 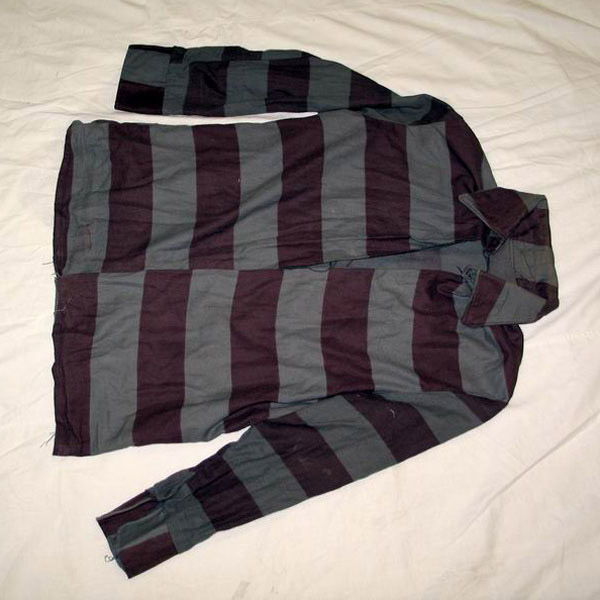 Camp jacket of maximum security prisoner. 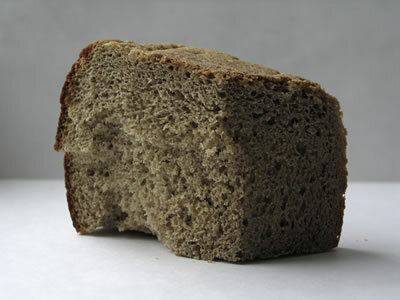 Paika. “Ration.” Prisoners in the Gulag received food according to how much work they did. 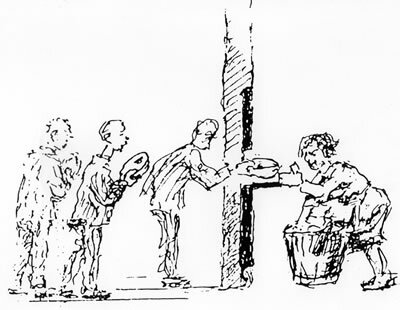 A full ration barely provided enough food for survival. If a prisoner did not fulfill his daily work quota, he received even less food. If a prisoner consistently failed to fulfill his work quotas, he would slowly starve to death. 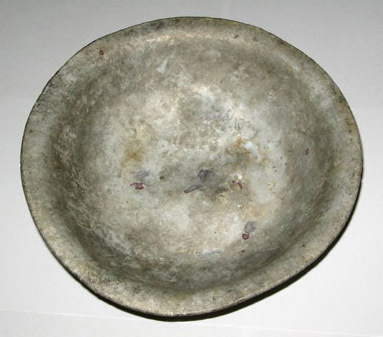 Dish from labor camp Stvor, Perm region, 1950s. 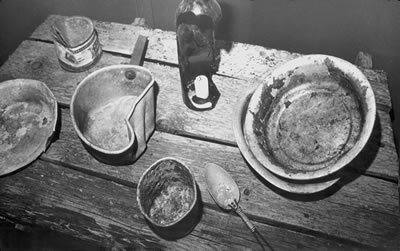 Before the 1950s, camps did not provide dishes, and prisoners ate food from small pots. 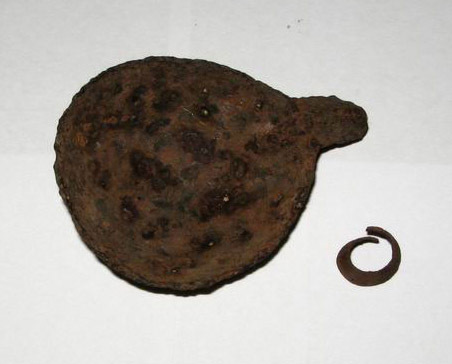 Portion of hand-made spoon from labor camp Bugutychag, Kolyma, 1930s. Spoons were considered a luxury in the 1930s and 1940s, and most prisoners had to eat with their hands and drink soup out of pots. 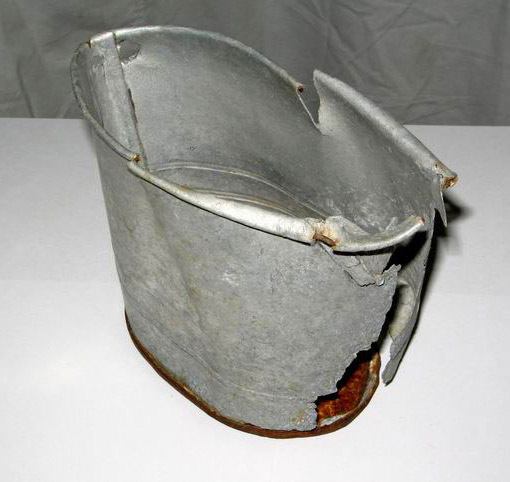 Pot made out of a tin can from a labor camp in Kolyma, 1930s. Such pots were made in the camp workshops by prisoners who exchanged them for food. 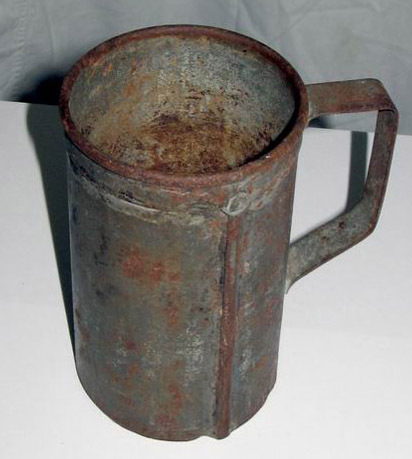 Camp mug from labor camp Bugutychag, Kolyma, 1930s. Originally manufactured as a kerosene measuring cup, this mug is unusually durable. It was probably stolen from the camp workshop by a prisoner to use as his personal mug. Russian author who was imprisoned in the Gulag for more than 20 years. 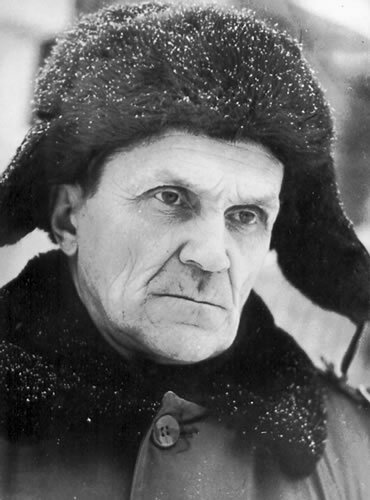 He wrote the celebrated Kolyma Tales, a series of short stories based on his life in the Gulag. V.T. 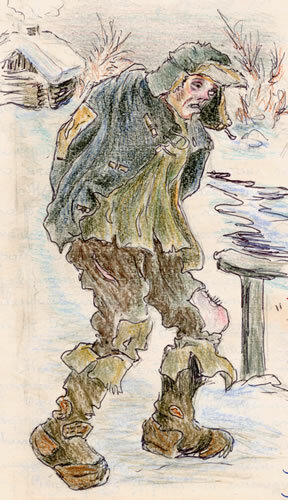 Shalamov, “Dry Rations,” from Kolyma Tales. 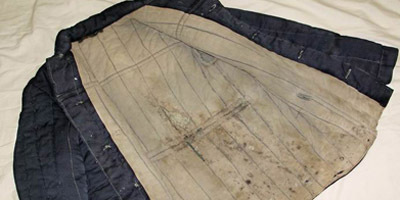 Goners were extremely emaciated prisoners on the verge of death from starvation. Their presence constantly reminded prisoners of their potential fate if they failed to fulfill work quotas and thus were deprived of their full food rations. Drawing by Evfrosiniia Kersnovskaia, former Gulag prisoner. Courtesy of Evfrosiniia Kersnovskaia Foundation, Moscow.